Chess is a fun classic game, but for most it’s not that exciting or when in the videogame realm, not very flashy. Hero Academy is here to fix that! Hero is fun, strategic yet simple, and highly addictive. If you have a PC or an iOS device you owe it to yourself to play this game. Robot Entertainment have put together a great little strategy game. On PC you can have Hero Academy running in the background while you perform seemingly any activity, and on iOS it can be taken with you and played anywhere, and the truly great thing about this combination is the fact that this title is cross platform! You can begin a match on Steam, and than take it with you on your iPhone as you go to school or work. This is an awesome feature and one I would love to see on more games. The object of Hero Academy is to either drain your opponent’s deck of units, or to destroy their power Crystals. 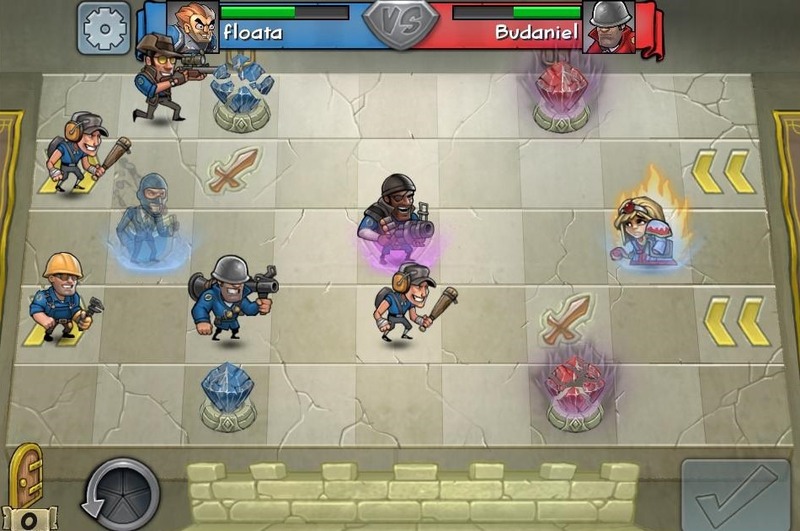 You go about this by strategically placing and moving your own units across the battlefield and using each unit’s unique abilities at the appropriate times. 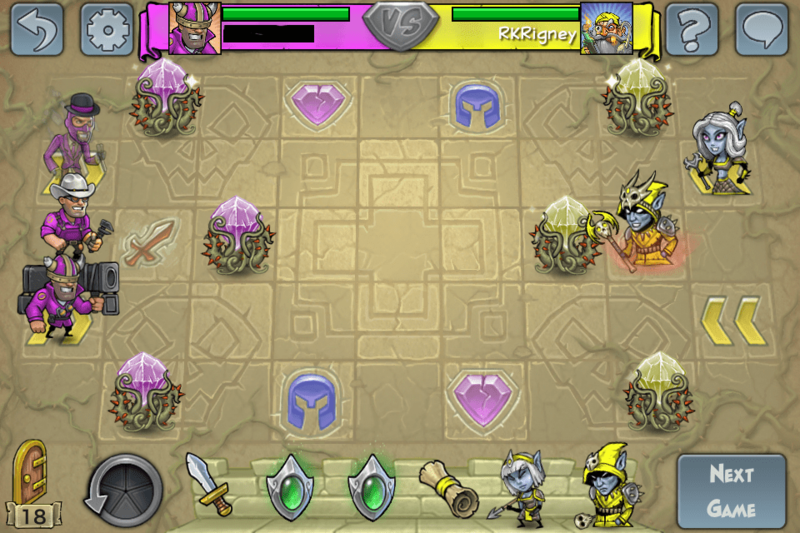 The game is turn based, and asynchronous, so each player can take their time, and even turn the game off and return later to see their opponent’s move, and then retaliate. This slow and user friendly approach ensures you can have as many games going as you like, and enjoy each one. Most anybody should find lots to like about this game, but one thing people may find fault with is the pricing structure. On iOS Hero Academy is free, but comes with built in ads. The game comes with the default team, but if you opt to purchase another team you become a premium member and remove the ads. On Steam Hero Academy is $4.99, but it not only features the default team and no ads, but also a special Steam only team based on the characters from Team Fortress. This team features 8 unique units while the other teams feature only 5, and they are a lot of fun to play with. So $4.99 is not a bad price at all for the hours of content you can find within, the problem I can see people having is with the DLC. Being a portable game first and foremost, Hero Academy is heavily funded by additional downloadable content, and that carries over to the Steam version as well. Getting two teams, great multiplayer and single player challenge rooms for $5 is not a bad price at all, but if you want an additional team they can range from $3-$5 by themselves. This may irk some, but the entire package can be purchase on Steam with a heavy discount for only $15. Also, you can bypass the pricing if you have an iOS device, as the teams are only $1.99 on that platform, and all purchases carry over on your account. Good game this, play with a buddy via steam.